Twin Control Dri-Block - Raya Scientific Co. The innovative design accommodating two blocks with independent digital temperature controls. 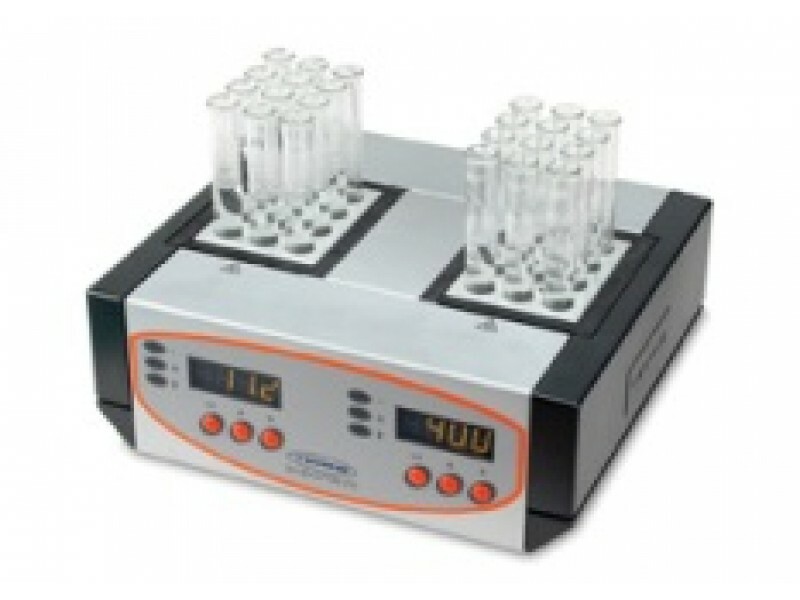 Each block can be set at different temperatures - ideal for multiple users or for applications where samples have to be transferred between two temperatures very quickly. Two aluminium block inserts must be purchased separately. View them here.